Season extended! 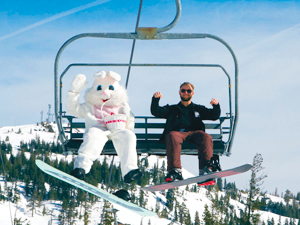 With historic snowfall, spring skiing will be all-time. Soak up the sun, warm temps, and carve up soft corn snow on the slopes! 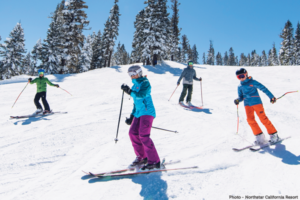 Learn more about resort season extension dates. 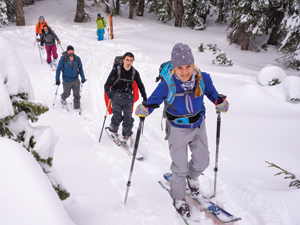 Take a guided snowshoe tour. Dress up in your most outrageous ski duds to celebrate legendary skier Shane McConkey at Squaw Valley. 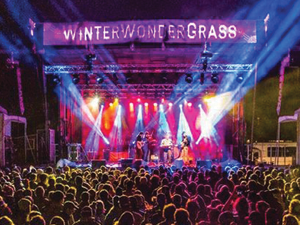 Go to the WinterWonderGrass festival for world-class bluegrass-acoustic roots music. 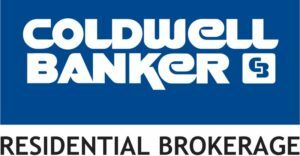 great savings on $100 cash back lodging, dining specials, and advanced lift tickets! 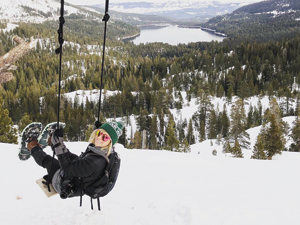 In Truckee, you don’t have to travel far from downtown to find yourself skiing or riding lines that vary from mellow, wide-open snowfields to expert level chutes. Learn best places, gear to rent and advice. 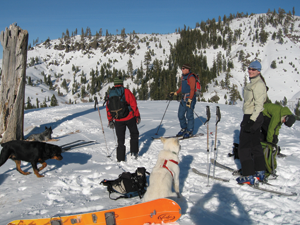 For spectacular views of Donner Lake, snowshoe, ski, or split-board Johnson Canyon. 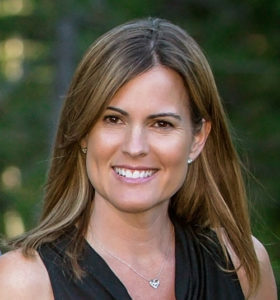 Johnson Canyon is part of 35,000 acres protected by the Truckee Donner Land Trust. A FREE New Orleans-inspired event. 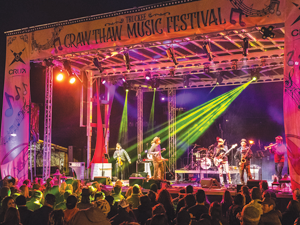 The Truckee Craw Thaw Music Festival celebrates spring with an incredible music lineup, Cajun cuisine and family fun in historic downtown Truckee. Get $100 Cash, VIP access, and 2-drink tickets when you book any two nights of May 30, 31, June 1, June 2. Sign-up to be emailed festival info. 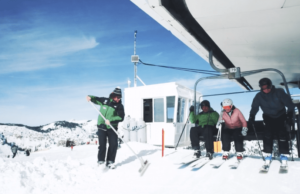 Squaw Valley | Alpine Meadows Resort builds up company culture, stronger community relationships, improved transit system, and a mission to power their entire operation with 100% clean and renewable sources of energy.